Can you honestly say that you love cooking at home? If the answer is anything other than a resounding yes, it could be time for a new approach. 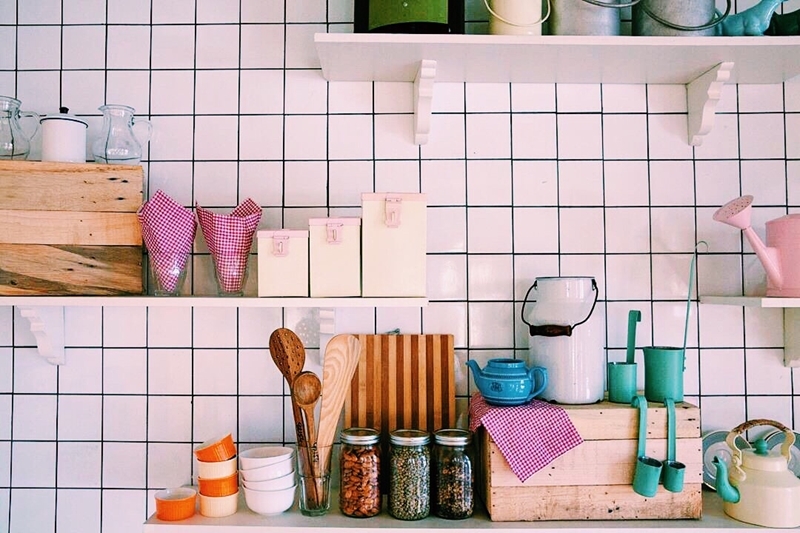 A few simple changes to your kitchen's layout, appliances or aesthetic can completely revolutionise the cooking experience, inspiring you to try new dishes, experiment with exotic flavours, and have a go at complex techniques. A state-of-the-art kitchen has other benefits too. When it comes time to sell your property, you can expect more interest and a higher price if you've invested in what everybody knows is the true 'heart of the home.' So, without further ado, here are three top tips for turning your kitchen into a culinary paradise! Two of the big kitchen trends for 2017 are pastels (for appliances, crockery and tiling) and copper finishes. Every kitchen is slightly different. Some are large, open-plan and designed to be part of an extended dining and entertaining area. Other homes have smaller kitchens, tucked away so as to intrude as little as possible on the rest of the home. Regardless of which type of kitchen you have, making it a dream to cook in starts with how you feel when you enter the room. For years, the trend has been towards sleek stainless steel and crisp modern finishes - a look that instantly evokes precision and cleanliness. This is perfect for some homes and for some people, but the design world has been slowly moving towards a warmer and less purely industrial look. Two of the big kitchen trends for 2017 are pastels (in appliances, crockery and tiling) and copper finishes. The latter is a particularly striking look, and can really make a kitchen feel rustic and welcoming. Pastel accents make a kitchen warm, welcoming and a pleasure to cook in. For many of us, part of the problem with cooking at home is that there's always so much mess to clean up. Whether that's oil splattered over the bench, food scraps piled up in the sink or a lingering cloud of steam, it can often seem easier just to go out or get something delivered. However, good kitchen design can eliminate many of these problems, drastically cutting down the amount of time you'll spend scrubbing after you've finished preparing dinner. 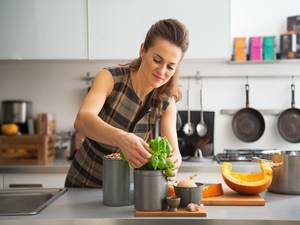 Simple gadgets like a decent waste disposal unit make food scraps a thing of the past, while higher quality bench tops made of materials like steel look brand new after a simple wipe down. One of the best investments to make in the kitchen is a high quality extractor fan, which will remove all the steam while you're cooking. This is particularly important in open-plan kitchens, where the last thing you want is for steam to waft into other areas of the house. Combi-steamers have become a 'must-have' kitchen appliance. Finally, filling your kitchen with toys is a great way to inject some extra fun and excitement into the cooking process. Precisely what type of appliances or gizmos you want to use is up to you. Have a taste for sushi? Pick up a roller kit so you can make it yourself. A lover of fine vino? A climate-controlled specialist wine fridge will keep all of your bottles in the optimum environment. One gadget we cannot recommend highly enough is a decent combi-steamer oven. These have become a 'must-have' kitchen appliance over the last couple of years, and the reason why is their outstanding versatility. If you want to use them like a normal oven for baking or roasting, they can more than handle the job. What really makes these appliances special, though, is their ability to cook with steam. This means essential tasks like making rice or pasta are easier than ever, and you also have access to a range of healthy options like steamed veggies or fresh fish. Of course, the right kitchen is most at home when it's nestled inside the perfect property. If you're looking to buy, sell or invest in Sydney, get in touch with the team at Laing+Simmons today.